Just one day after the Golden State Warriors won the 2017 NBA Championship, defensive star Draymond Green was back in the gym, his determination illuminating his mindset: still hungry and still dialed-in. After an emotional triumph over archrival No. 14 Stanford, Cal will regroup and attempt to imitate Green’s fixated mindset as it travels to the state of Washington for its final weekend series of the regular season. Replicating that performance against its rival is easier said than done, but Cal (18-9, 9-7) has good reason to be optimistic about its chances against Washington State (10-18, 3-13) and Washington (7-20, 1-15). 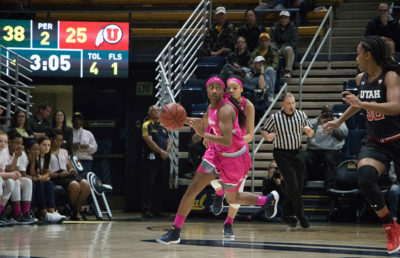 Facing two of the worst teams in the Pac-12, Cal has a shot to end its regular season on the right note before Pac-12 Tournament play tips off next week. 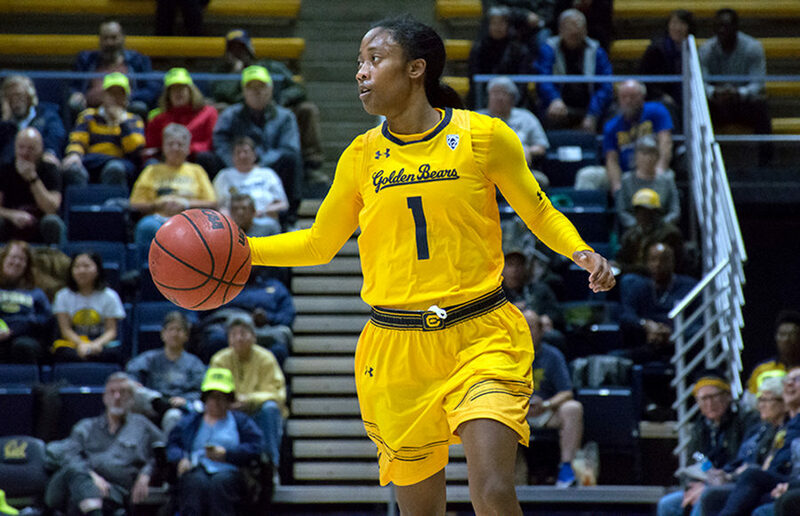 The Bears’ win against the Cardinal, their first against a ranked team all season long, was the elusive breakthrough they’ve been seeking since conference play began. With the Cougars, losers of eight of their past nine, and the Huskies, losers of eight straight, waiting in the wings, it will be important for the Bears to avoid a let-down right before postseason play. Despite losing efforts, Friday’s matchup with Washington State won’t be a walk in the park, as Washington State has actually played well of late. The Cougars tend to rely heavily on redshirt sophomore forward Borislava Hristova, the team’s only player averaging double digits in points per game at a mark of 18.1. Hristova recorded a 36-point game in Washington State’s 89-76 win over Colorado on Jan. 5, tying the school record for the third-most points scored in a single game. In a rematch with the Buffaloes, however, she played just seven minutes in a 3-point loss. 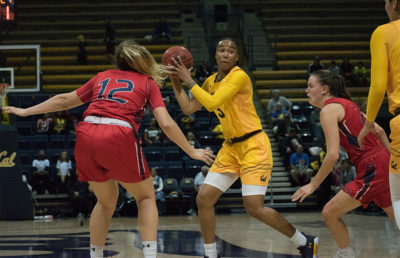 If she’s unable to give it a go against the Bears, expect Cal to dial up its defensive pressure early in the first half. The Huskies are experiencing the aftermath of losing Kelsey Plum in Seattle, dragging themselves toward the end of a forgettable season. After losing Plum — the all-time leading scorer in NCAA history and last season’s No. 1 overall pick in the WNBA draft — Washington has delegated its primary scorer role to sophomore guard Amber Melgoza. Like Washington State’s Hristova, Melgoza paces her team in scoring, averaging 17.6 points per game on 42.6 percent shooting. The sophomore enters the weekend red-hot, having strung together 10 consecutive games with double-digit points. Senior Jenna Moser, Melgova’s backcourt mate, has endured an inconsistent senior season in terms of shooting, but with this being her final game playing in front of the Husky faithful, the Bears should expect Washington to get Moser involved early and often. 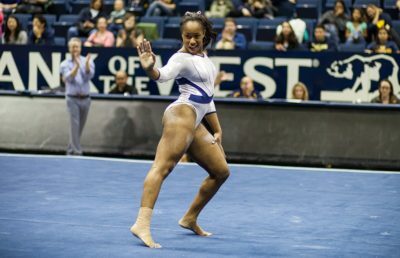 With its biggest win of the season now in the rearview mirror, Cal is primed to challenge the Pac-12’s frontrunners in the month of March. But first, the Bears will have have two final tune-ups to get themselves where they need to be.